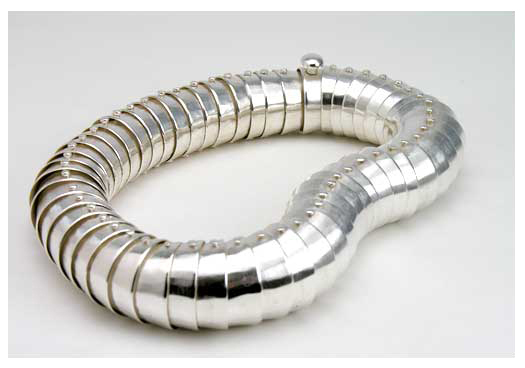 Toril Bjorg silver jewelry : GRANDIOSE ! seul problème : toute info trouvée est … en Norvégien ….. et, disons … je n’y comprends goutte ! 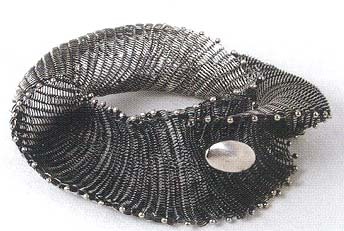 par contre la beauté de ces pièces en maille d’argent, flexibles, souples, majestueuses, m’atteint de plein coeur ! « Ces parures sont faites d’un matériau traditionnel pour les bijoux : l’argent. Mais …. un matériau recyclé ? Pas tout à fait. Ici, nous avons à faire avec une autre forme de recyclage. Ce qui est récupéré ce n’est pas la matière mais la technique. Toril Bjorg a utilisé une technique qui appartient au passé, appelée « nalbinding », et « déplacé » son usage de la laine au métal. Ces colliers sont traités comme s’ils avaient été faits de fils de laine douce. Nalbinding est une sorte de tricot technique, technique utilisée jusqu’aux années 1800 où l’on a commencé à utiliser une grosse aiguille avec un trou. Puis l’on a commencé à tricoter comme nous en avons l’habitude maintenant, avec deux ou plusieurs aiguilles ; C’était beaucoup plus efficace et, finalement, l’ancienne technique a été oubliée. En recyclant l’ancienne technique, Bjorg a également donné une nouvelle vie à un métier oublié. The impressive diversity of contemporary Norwegian work is being showcased by Flow Gallery in February 2005, with the assistance of The Norwegian Association of Arts and Crafts (NACC) and the Royal Norwegian Embassy. Based in Oslo, NACC now comprises about 800 professional practising makers as members. 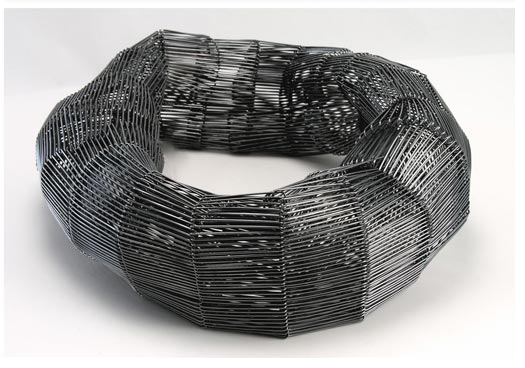 A body of makers and representative work has been selected from multiple disciplines. Each brings something different to this very interesting and enjoyable show. From the jewellery camp we see diversity exhibited by individual makers; Louise Nippierd considers her playful, poetic pieces just as important as her socio-political ones. Dina Hald‘s approach is to create a story and draw its characters in silver, these she colours in with enamel. Also using metals ability to capture a human quality is Toril Bjorg, who looks to emphasise the mental strength of the woman through his work. Alida Rudjord Røiseland wants to amuse, she sees humour as an important characteristic and aims to involve it in her work. 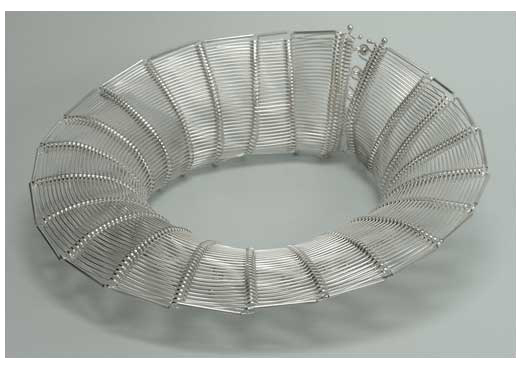 Janicke Horn works intuitively from nature, and functionality often comes second to the sculptural qualities she seeks. 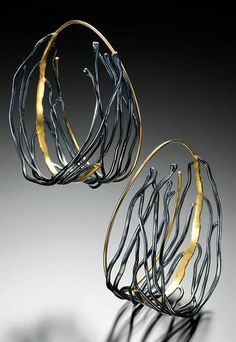 In a similar vein Heidi Sand‘s working method involves letting her ornamental pieces develop naturally, the form emerging as she cuts into the metal. 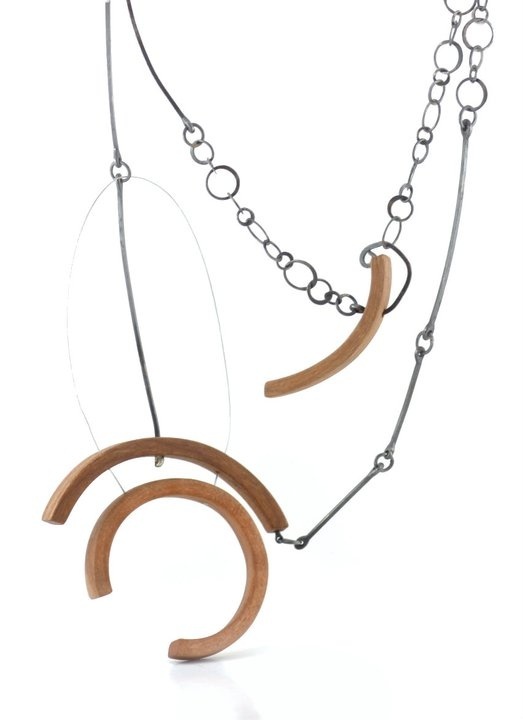 By contrast, Millie Behrens composes her minimalist pieces out of a love of geometry, which she likens to poetry. The title of Lise Schønberg‘s jewellery for this show is ‘partly clouded – good visibility’, and her pieces are full of both humour and colour. Also having fun is Anne Lene Løvhaug, she takes objects from the domestic sphere out of context by associating them with the body, her belief is that some objects ‘could do with a little sightseeing’. Both hollow-ware and enamel have long standing traditions in the history of Norwegian crafts, but Synnøve Korssjøen is mostly alone in using the hollow-ware technique to create her jewellery and objects. For Liv Blåvarp beauty never lays in perfection, and despite the superlative craftsmanship, her wooden pieces reflect a love of people with flaws and peculiarities. One of the most established makers on show, Liv’s pieces are collected by the Queen.